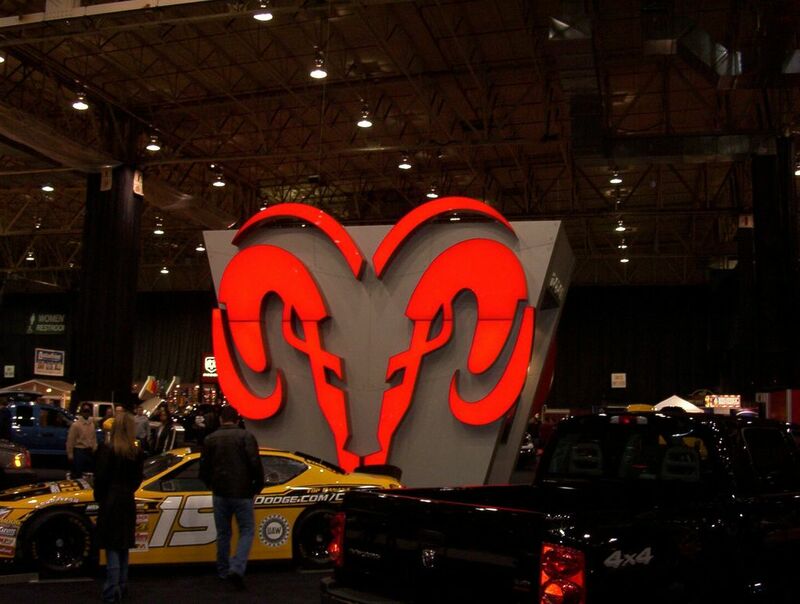 The annual Cleveland Auto Show obviously features the latest models but since you can see them in the TV advertisements every day, we decided to show you something else. For the newest cars in the world, you have to see the event itself - every winter in February or March. Here, we will show some of the oldest. 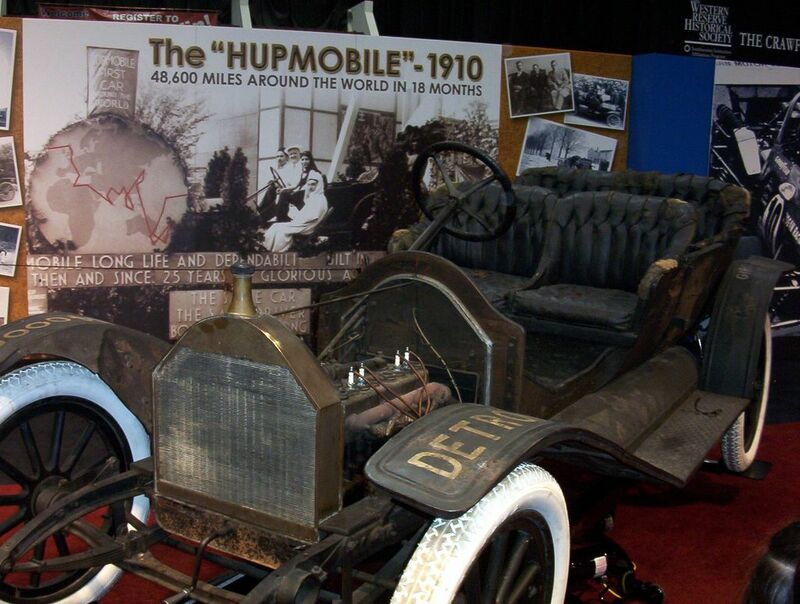 Back in 1910, there was a car manufacturer by the name of Hupp. Naturally, his cars were called Hupmobiles (just like Ford). One of them is seen in the picture below. 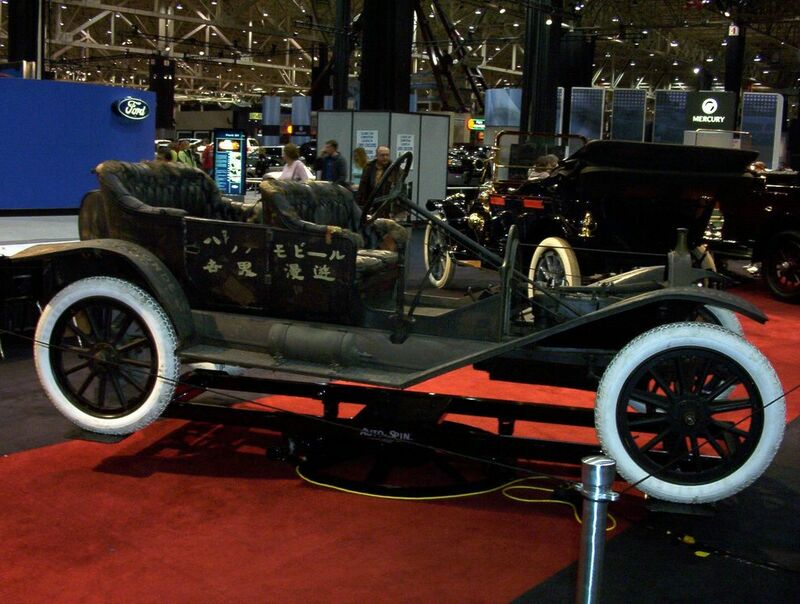 This 1911 Hupmobile is remarkable because it was the first car to make a world tour. They called it "Le Tour du Monde" (French was fashionable at the time) and it lasted 18 months going through 26 countries. The purpose of the trip was to advertise the Hipmobile durability. 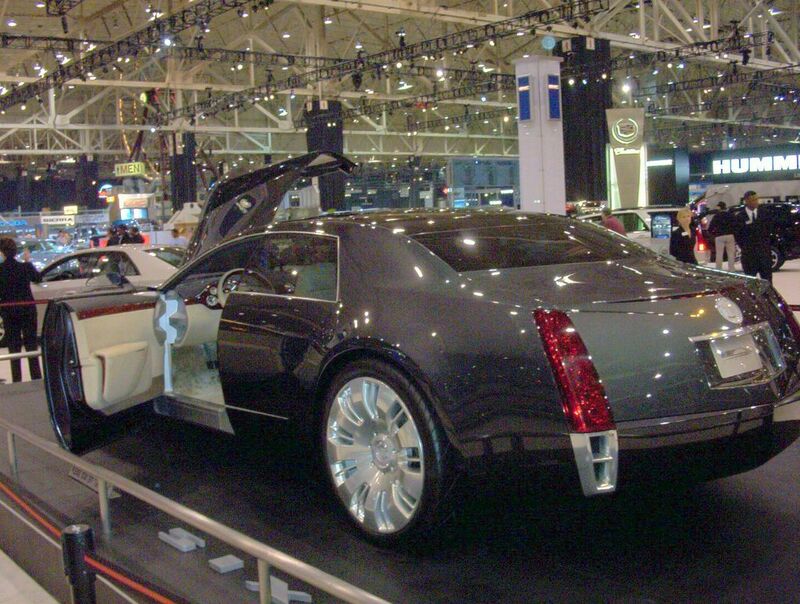 The car had 17-horsepower engine and 2-speeds, and the price tag was $ 900. 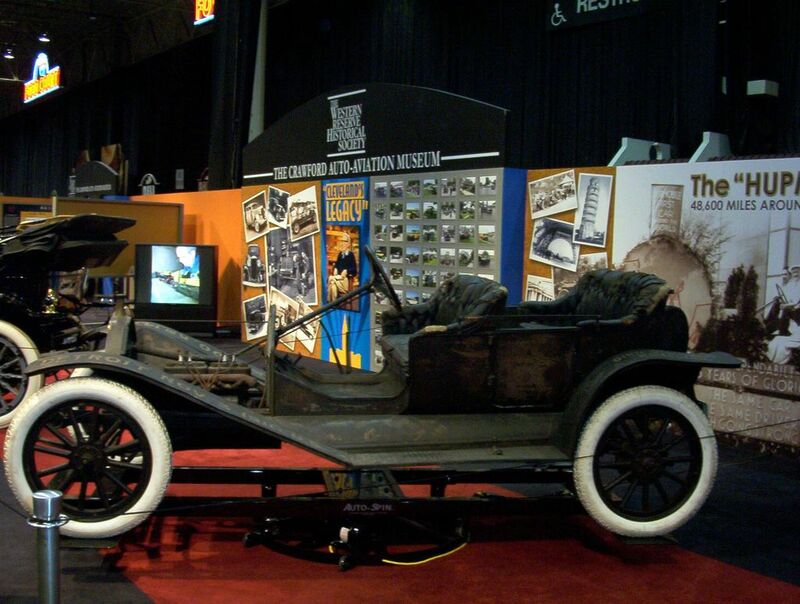 The Hupmobile was restored and is available on display at the Crawford Auto-Aviation Museum at the University Circle. It is still running. 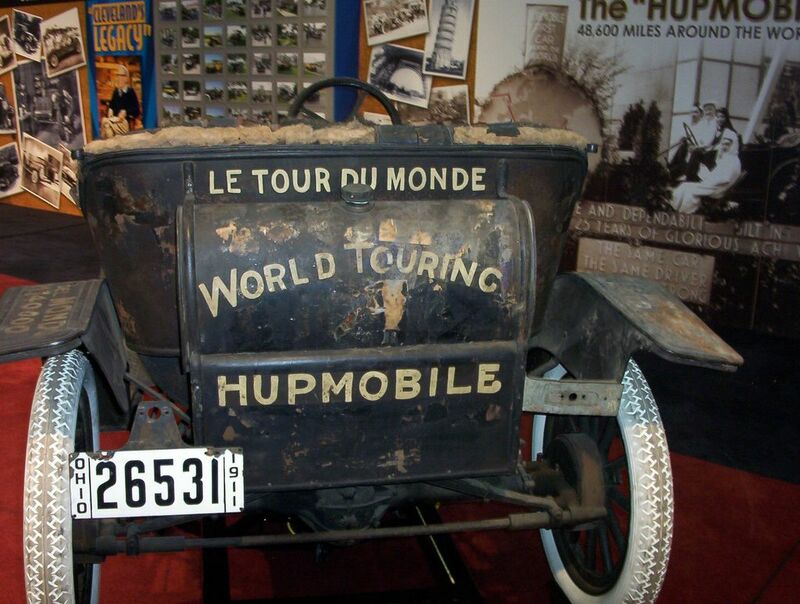 The World Touring Hupmobile - the first car to go around the world. The journey started in 1910 and lasted one and a half years. The crew of two (a driver and a mechanic) liked Japan the best among all the countries they visited. Actually, they broke a rear axle there but were able to fix it and to continue the tour. This might have been the reason why the car has Japanese hieroglyphs on one side. The car interior (or may be exterior because it is convertible, I guess) is all worn out but the museum workers left it like that for authenticity. 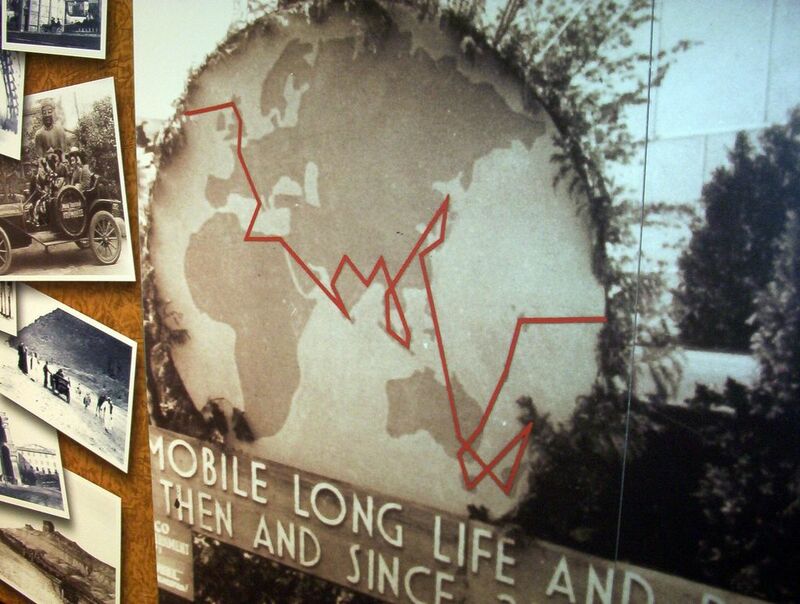 Pictures from the countries through which the Hupmobile traveled. 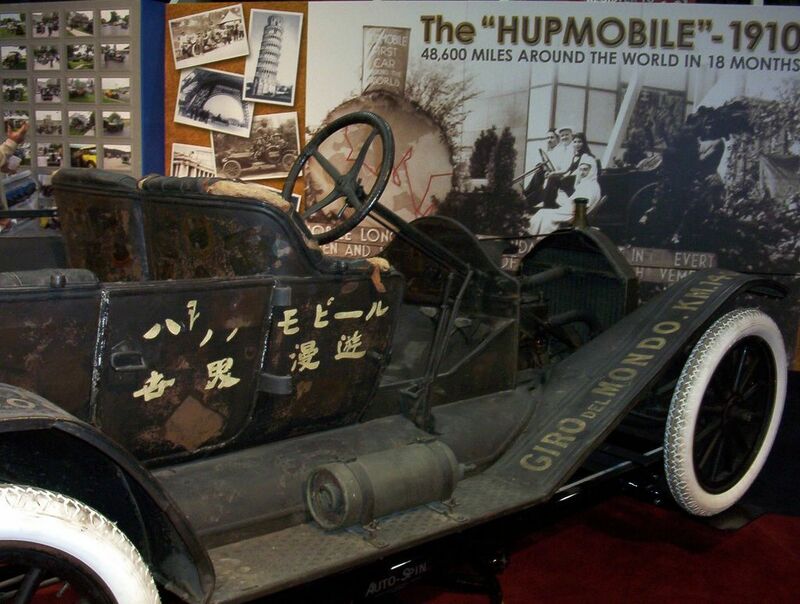 Italy, France, Greece...Is it Hupmobile or Hipmobile!? See the map of the world tour. Part of the journey was, naturally, on water on board of steam ships. 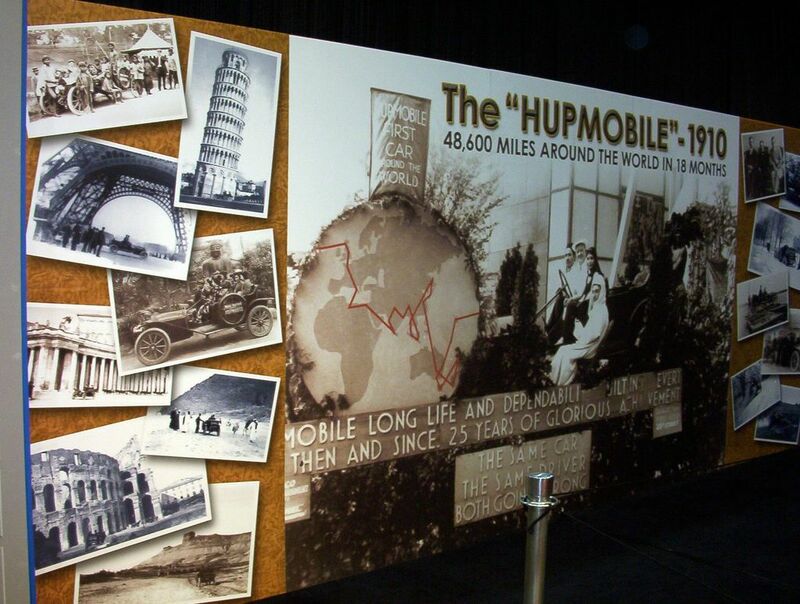 The time of the Hupp tour was the golden age of the American car manufacturers. 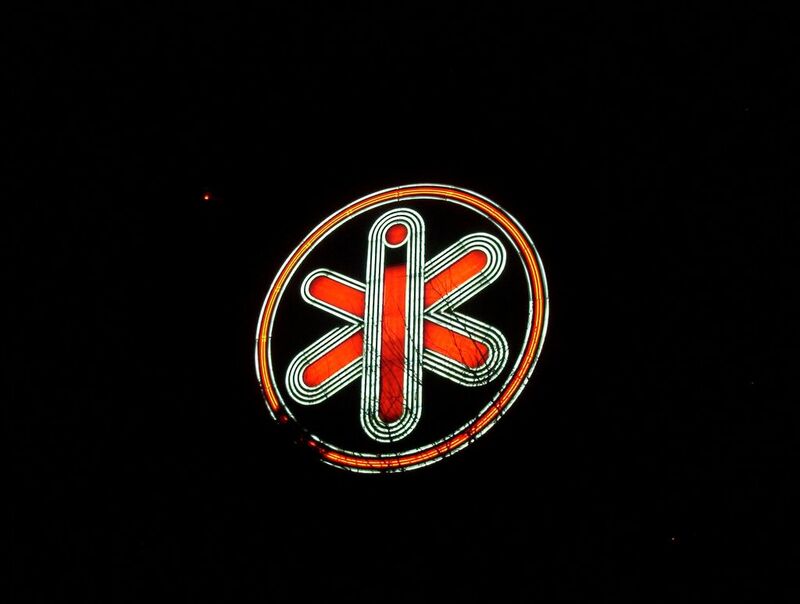 Cleveland had 80 carmakers based in town during this era. I do not think it will be quite popular in the United States. It is pretty inconvenient and the assembling quality doesn't not stand up to criticism. It is good only for museum!